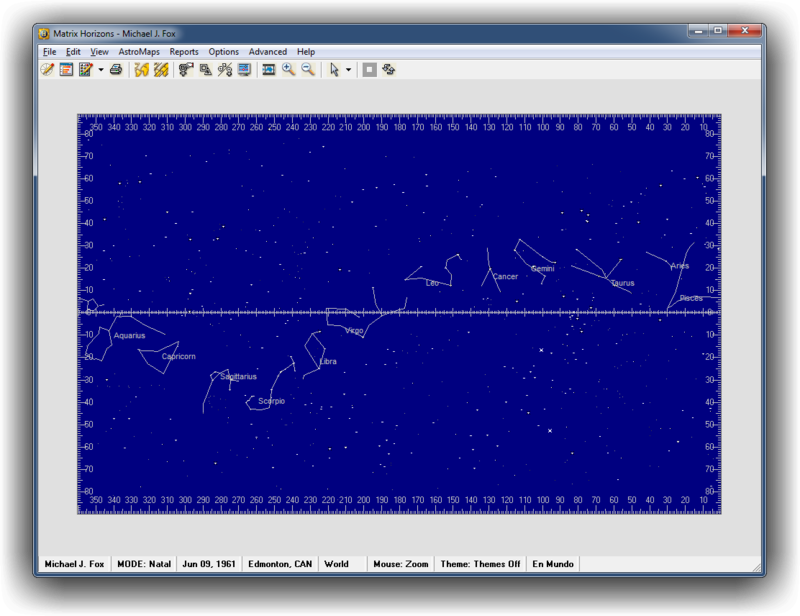 Matrix Horizons Professional Astromapping Program! Matrix Win*Maps set the standard for relocation software. We've just raised the bar several notches higher. 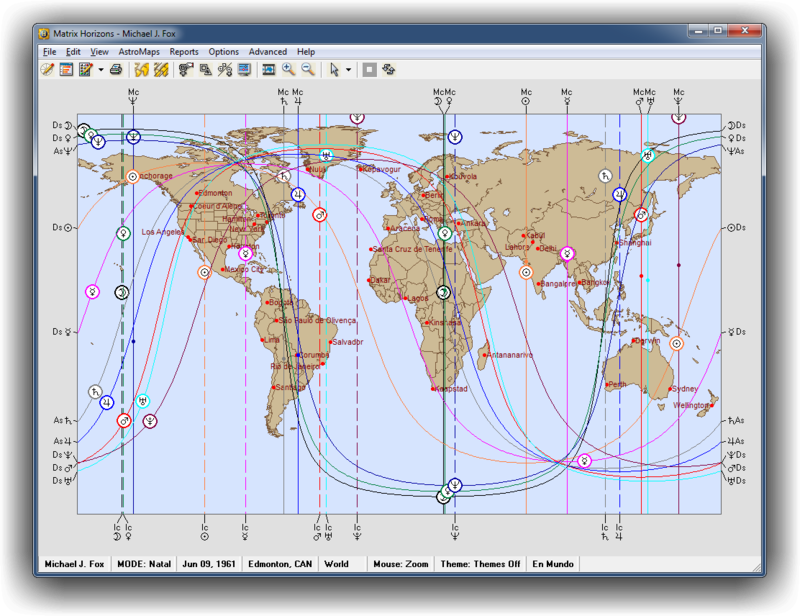 In the 1990s, Matrix Win*Maps broke new ground for astrologers, giving them the ability to offer their clients and customers enhanced relocation counseling; this program quickly became an essential tool for anyone serious about astromapping and relocation. 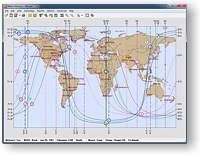 When Master of Relocation Astrology, astrologer Jim Lewis, wanted to create software for his Astro*Carto*Graphy techniques, he chose Matrix as his collaborative partner; working together, we produced the now highly-respected and popular Astro*Carto*Graphy Explained software. Moreover, those of you knowledgeable about Matrix Software are likely aware that it was our founder, Michael Erlewine, who developed the widely acclaimed Local Space technique, which is now being used by astrologers in more than 120 countries. This brief overview explains the origin of the Astromapping/Relocation programs first available in this century, and who produced them; now, Matrix Horizons will take your relocation work to a spectacularly new and even better place. Professional Astrologers and Counselors — you will appreciate the range of tools this program offers—tools giving you incredible flexibility, such as the ability to efficiently evaluate a location or a group of locations, even while you have a client on the phone, and the fluid interface allowing you to move easily through different considerations and perspectives — This is your program!! 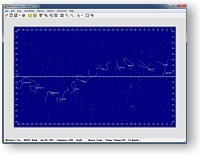 Amateur astrologers, novices, students, and non-astrologers — you will enjoy the extensive interpretations, the easy-to-read and understand graphs permitting an easy comparison and evaluation of locations, as well as the theme maps showing you precisely where particular influences lie on your personal chart/map; with a few clicks, you can even create your own themes—and then map them out instantly! Matrix Horizons requires a computer with Windows 7, 8, or 10. With 32 MB RAM memory or more, and 90 Mb hard disk space. Also compatible with either 32 bit or 64 bit operating system. 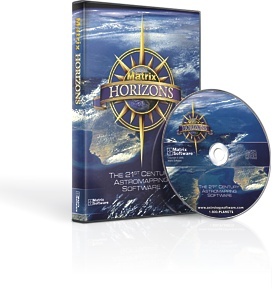 Matrix Horizons also runs on Mac computers with Windows Operating System installed. The Horizons Team: R. Stephen Erlewine, Kyle Pierce, and Johan Kruger; with consultation from John Townley and Hank Friedman. Textual interpretations prepared by John Townley and Michael Erlewine. Special thanks to astrologers Arlene Kramer, Ray Merriman, Gloria Star, Martin Davis, and Jeff Jawer, for their valuable insights.